In the autonomous community of Murcia, specifically in Yecla, we can find one of the finalist projects at the 9th PORCELANOSA Architecture and Interior Design Awards in the Completed Projects category. 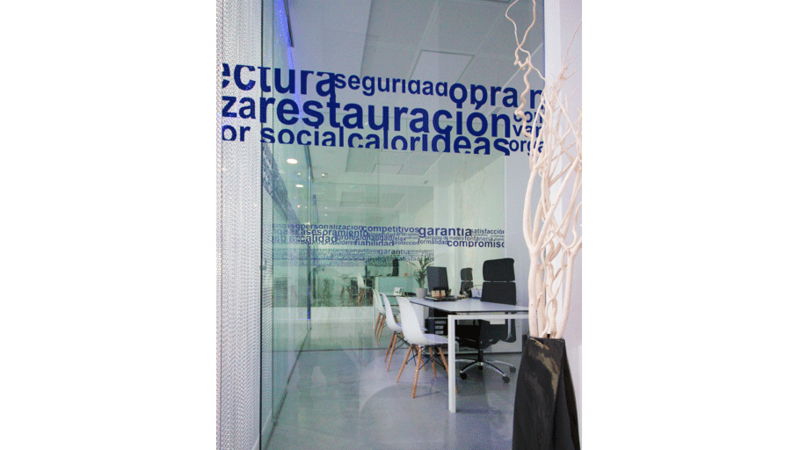 It is Maza Grupo offices, the headquarters of this construction company, architectural futuristic and contemporary studio. 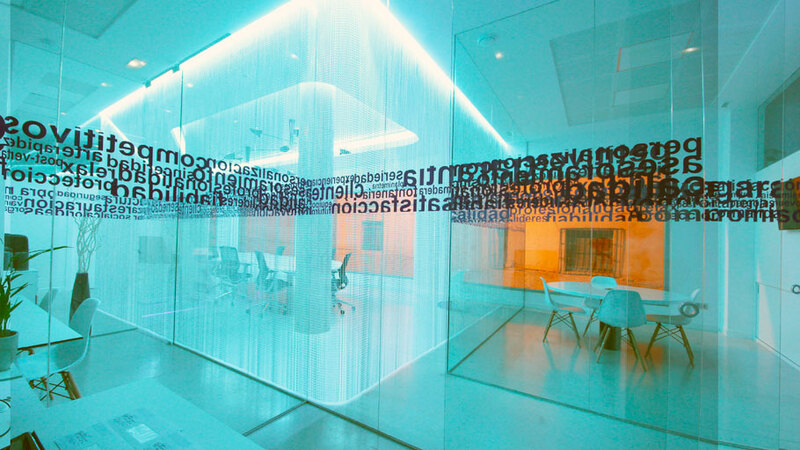 Compared with other conventional solutions offices with long hallways and offices on both sides, the Maza Lab Studio S.L. designed two different areas, among which there is no watertight limit, only permeable. Both visual and sound sensations can be felt, thanks to a masterful use of lighting, along with the generation of diaphanous and interconnected atmospheres. 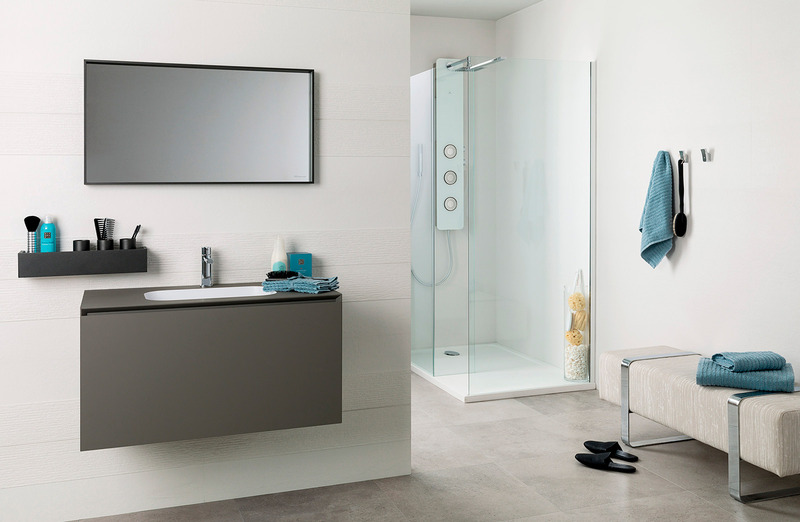 The perfect integration of the materials and products from the PORCELANOSA Grupo stands out. 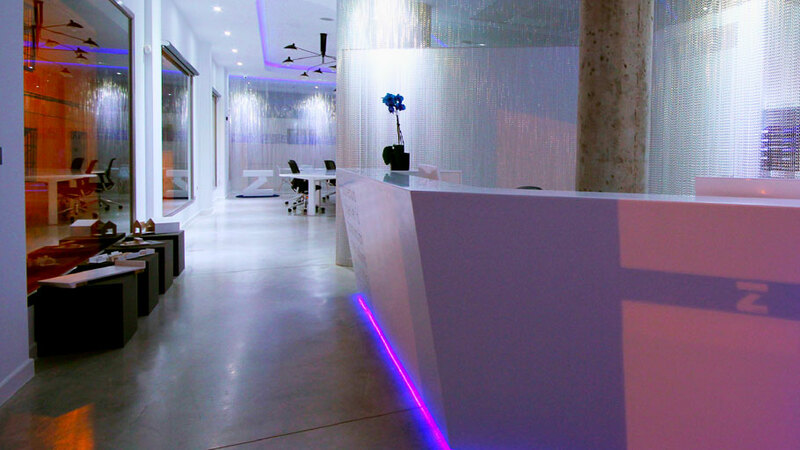 Although they contribute both their design and quality, they provide this unique office project with a big cutting-edge spirit. 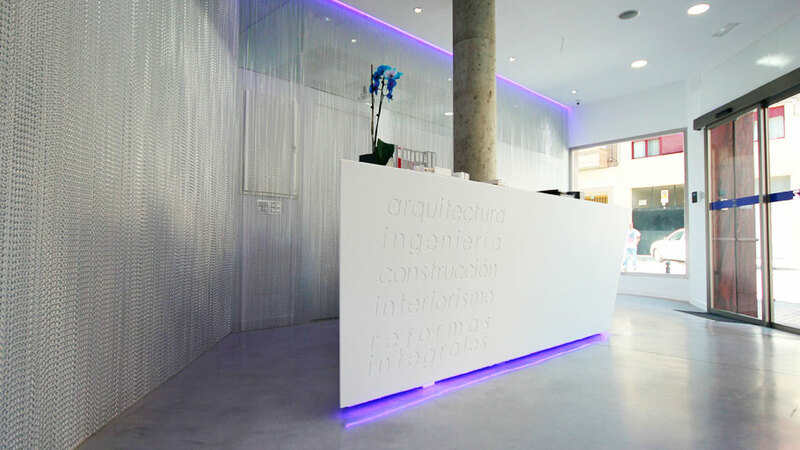 In the most visible area in the offices from Maza Grupo, we find the KRION® Solid Surface compact mineral, which was mainly used on the countertop and the technicians' table. Both pieces of furniture are projected with different concepts: the counter, heavy and closed in itself, it is more linear and geometric, whereas the table is more vibrant and light, as well as being the main element in the project. 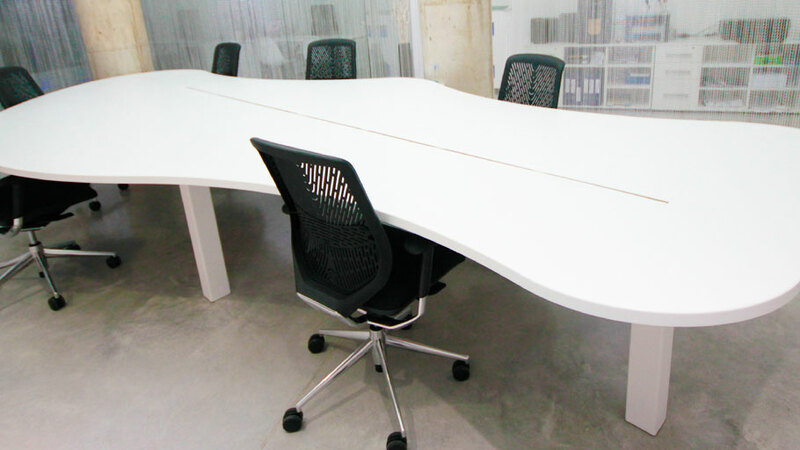 This working table is for nine employees, but it can be extended thanks to the KRION ® acrylic stone malleability. 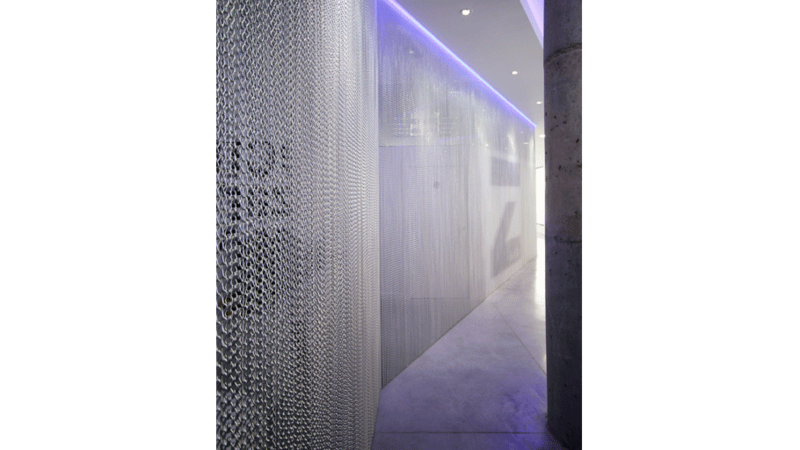 To differentiate this area from the interior rooms, public and private areas, an aluminum shutter has been provided. 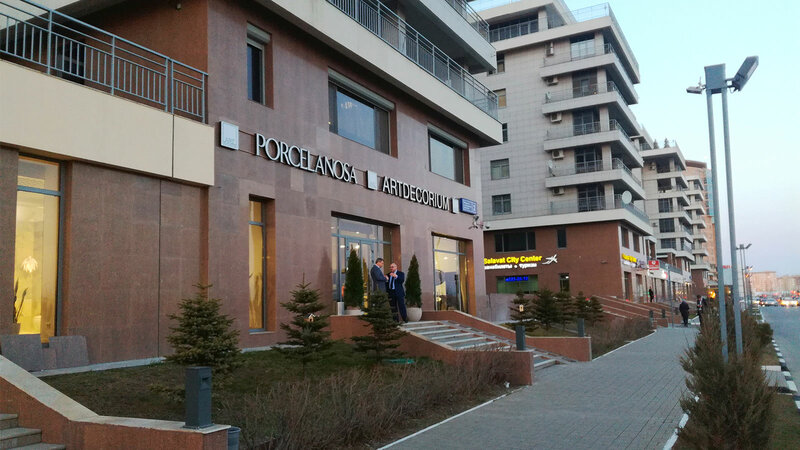 Its dynamic and smooth movement wonderfully covers the interior design while limiting and separating the access to clients and the architecture studio, the offices, the construction firm’s meeting rooms, along with the office and bathrooms. The front wall coating in the management office stands out, where the 1L Beige Revival parquet from L'Antic Colonial has been installed. The office, meanwhile, has its floor tiles from the Porcelanosa firm. This is made through the Oxford Steel ceramic floor tile. 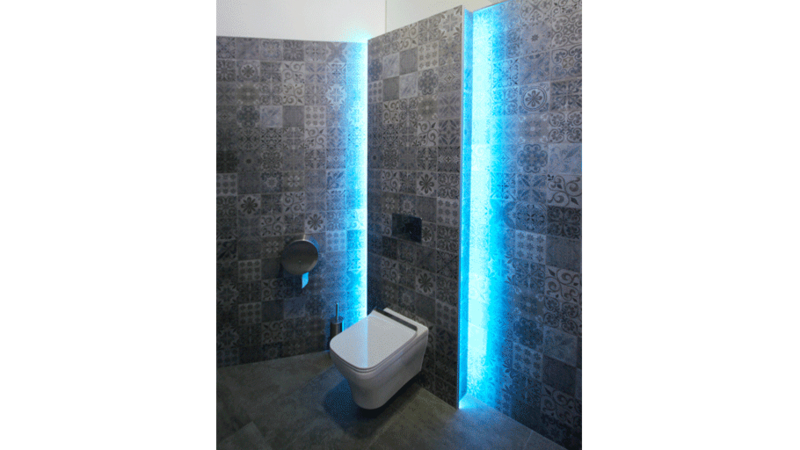 Regarding the bathrooms, the classic charm from the hydraulic tiles is used, by integrating ceramic wall tiles such as the Antique Blue from Porcelanosa. A retro tribute which provides an exquisite contrast to the other rooms in the project, both being more futuristic and minimalist. 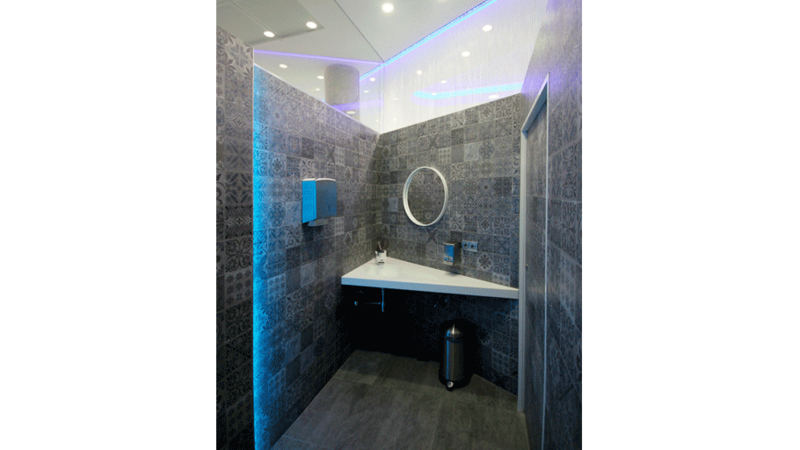 The bathroom equipment is done by Noken, offering its Essence-C sanitaryware and the technological Mood taps. 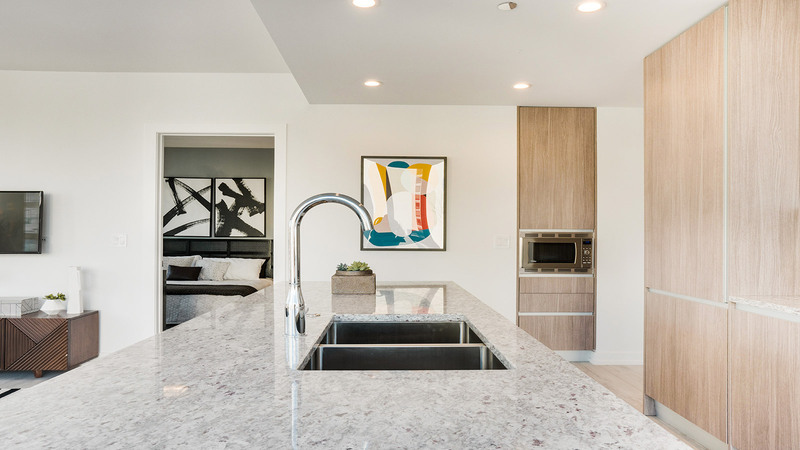 KRION® has been used again for the basins and countertops, not only because of its hygienic and ultra-resistance, but also because of being easy to maintain. 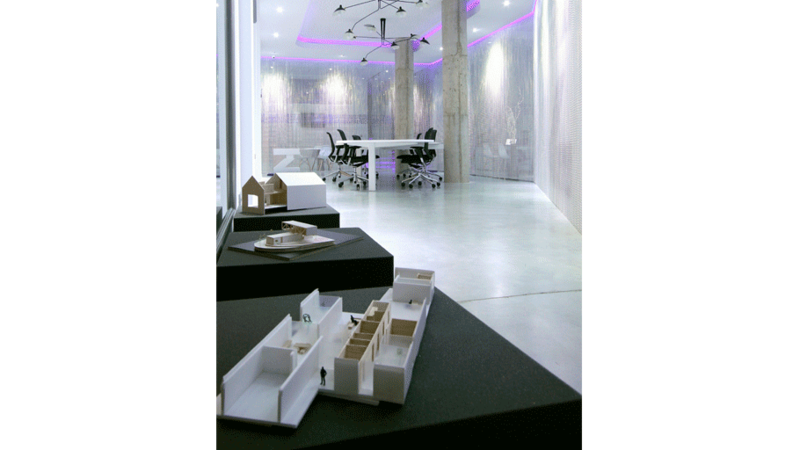 No room is deprived of natural light, creating glass or blind partitions of up to 2.30m with a roof entry, just as it can be seen in the management office, meeting room and bathroom.